According to data from the Ryan White HIV/AIDS Program (RWHAP), people living with HIV who are temporarily or unstably housed have lower rates of retention in care and viral suppression. A new $3.6 million, three-year investment of resources from the Secretary’s Minority AIDS Initiative Fund (SMAIF) is supporting five communities in the implementation, utilization, and evaluation of integrated housing and HIV care data systems to enhance patient navigation and service coordination and improve health outcomes along the HIV care continuum. The initiative, Addressing HIV Care and Housing Coordination Through Data Integration to Improve Health Outcomes along the HIV Care Continuum, is being led by the Health Resources and Services Administration (HRSA) HIV/AIDS Bureau’s (HAB) Special Projects of National Significance (SPNS) Program, in collaboration with the Department of Housing and Urban Development’s (HUD) Office of HIV/AIDS Housing (OHH). HAB administers the RWHAP program. The goal of the initiative is to improve health outcomes for persons living with HIV by enhancing the ability of RWHAP recipients and HOPWA providers to integrate data systems in order to share client information and coordinate HIV care and housing services across multiple funding programs. Most RWHAP and HOPWA data systems are siloed, which may result in knowledge gaps between RWHAP and HOPWA providers and inefficiencies for clients accessing care and services from separate health care and housing service delivery systems. 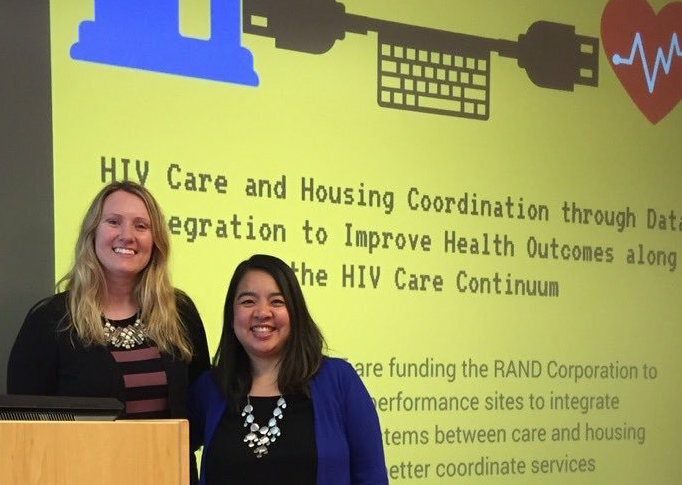 Integrating both housing and HIV care client-level data systems has the potential to improve a community’s ability to coordinate services, identify and address service gaps, and evaluate program effectiveness across the two programs. Gregory House Programs (Oahu, HI). The sites are a mix of public and non-profit organizations that are either recipients of both RWHAP and HOPWA funding or are partnering with their respective RWHAP or HOPWA agency in order to complete data integration and provision of enhanced client care coordination. The RAND Corporation was awarded funding to serve as the Coordination and Technical Assistance Center leading the multisite evaluation and provision of technical assistance. 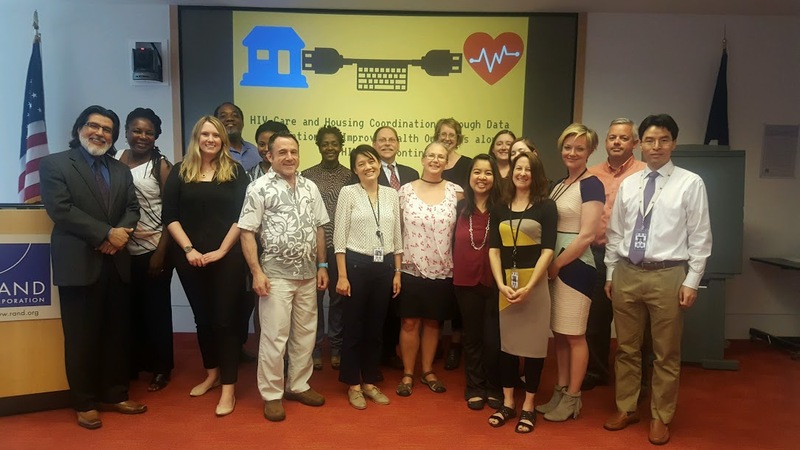 “HUD/OHH is pleased to partner with HRSA/HAB on this initiative to explore integrating HOPWA and RWHAP data systems to better address the complex housing, medical care, and supportive service needs of persons living with HIV, especially among racial and ethnic minorities who are unstably housed, at risk for, or experiencing homelessness,” remarked Rita Flegel, Director of OHH. HAB administers the RWHAP which provides funding for primary medical care and support services for people living with HIV who are uninsured or underinsured. HAB’s SPNS Program supports the development of innovative models of HIV care and treatment in order to quickly respond to emerging needs of RWHAP clients. Under the HOPWA Program, HUD’s OHH makes grants to local communities, States, and nonprofit organizations to provide housing assistance and supportive services to low-income persons living with HIV and their families. Read more about the new initiative on the project web site and in this press release.